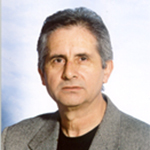 Panagiotis Lianos is Professor Emeritus of the University of Patras and he directs the Applied Photochemistry and Photophysics Laboratory of the Department of Chemical Engineering. He is a Physics graduate of the Aristotle University of Thessaloniki and holds a PhD degree from the University of Tennessee, USA. His research involves several aspects of Materials Science with recent emphasis on the study of nanoparticulate semiconductors and their application to solar cells. He has published more than 270 broadly cited papers in international journals and more than 150 in conference proceedings while his current h-factor is 50 and i10-index 154. Solar energy can be converted into usable forms of energy by photoelectrochemical processes, which consume photogenerated electrons and holes by means of oxidation and reduction reaction. Water splitting and hydrogen production is one such process. This presentation will involve a brief account of the history and the evolution of related processes, will present the current state of the art and will show our own contribution to the field. Some devices, which have been employed for the production of electricity and hydrogen will be described and the prospects for commercialization will be assessed.